Belgian Baseball and Softball Series in full swing this “summer” weekend. 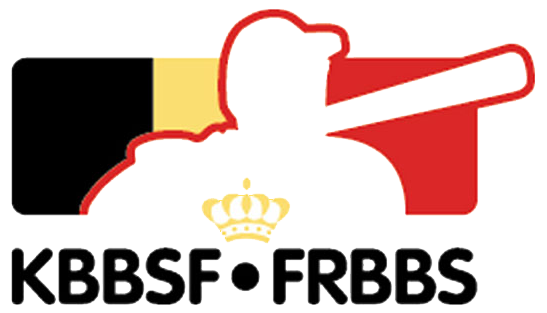 The Belgian Series Softball Women will start on Sunday October 14th with a doubleheader in an exciting best of 5 Series. In the Belgian Baseball Series the score is 1 – 1 in the best of 5; Game 3 will follow this Saturday. 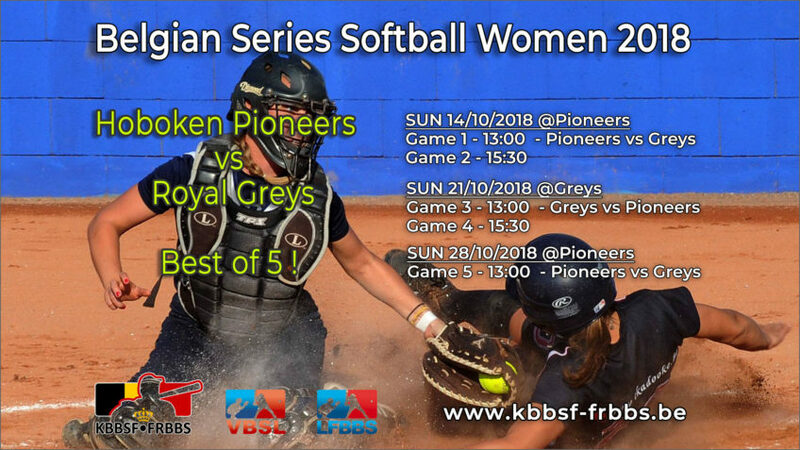 For the Women’s Softball Championship, the Hoboken Pioneers and the Royal Greys will start their best of 5 Series on Sunday 14th of October at 13:00 at Pioneers softball field in Hoboken. Pioneers finished first in the Softball Women Gold League 2018 and may therefore start with home advantage. The Belgian Series is played in a doubleheader format. Next week is the return and on Sunday October 21st Games 3 and 4 of the Series will be played on the fields of Royal Greys. A possible Game 5 decider will take place on October 28th at Pioneers.